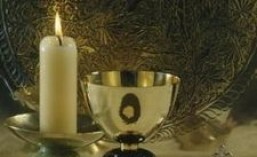 Treasury of Daily Prayer: It is Christmas morning! 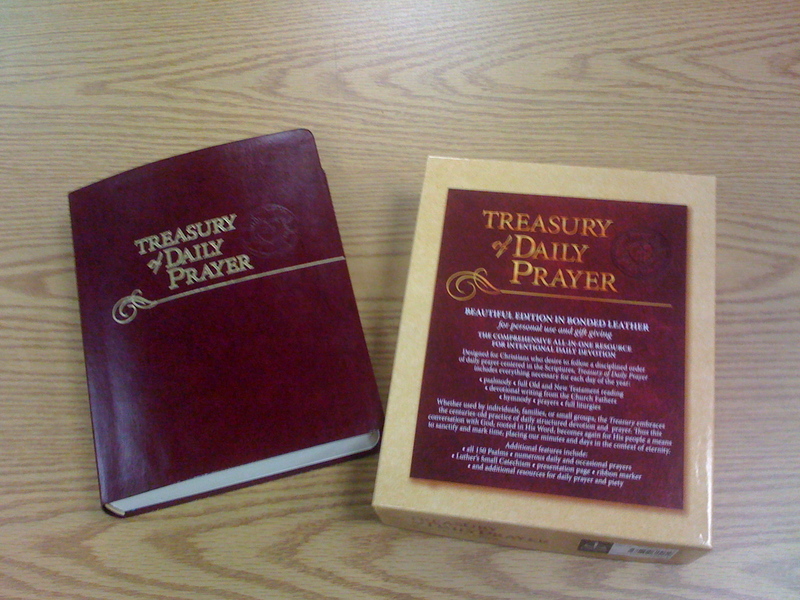 The first two cases of Treasury of Daily Prayer have arrived by FedEx in advance of the main shipment coming by freight. It is like Christmas morning! And I am both the toymaker who ultimately finds joy in the fact that other are enjoying his creation AND the child who eagerly tears open the wrapping and can’t wait to begin to play. And what a playground it is. I turn it over in my hands, I carefully break in the binding, I flip through the pages stopping here, stopping there. There are certainly words on these pages, important words, God’s words. But I see so much more as I look at the pages, trail my fingers over the smooth surface, around one rounded corner and than another. I see on these pages my assisting editors, who through extended e-mails and phone calls “caught” the vision of what I hoped this resource would be, and then poured themselves into the project, loving it and caring for it every bit as much as I do. I see e-mails almost without number that flew between Dave Petersen, myself, and the numerous contributors of the writings from the Church fathers. Todd Peperkorn, whose own personal attachment and knowledge of the Psalms so wonderfully shaped the daily psalmody. The love for our hymnic heritage that is evident in Henry Gerike’s selection of hymnody. Nathan Higgins, a fan of the Book of Concord, who took the pencil-sketch idea for Lenten catechesis and crafted a masterpiece. Arthur Just, chairman of the LSB lectionary committee, drew upon his deep love and knowledge of the collects and matched them to the texts, and then wrote 157 new collects as well. I am humbled and very proud to call each of these men not only brothers in the Ministry, but my friends. The indents, the paragraphs, the precisely placed punctuation and breathing marks, all stand as a testimony to Dawn Weinstock. Dawn invested, literally, hundreds of hours in manuscript preparation, copy editing, the securing of permissions, the assembly of the acknowledgments, and more. With care and dedication she followed behind straightening, correcting, and rejoicing in the details. She quite simply made me look better than I am. The beautiful typography and the elegant layout of the Treasury come from the hand of artist Stacy Johnston, our designer extraordinare. She listened so carefully to my hopes and dreams; and then with her years of experience and her immense talent, she saw what 3,000+ pages of manuscript and notes could be. And it is. There are so many more hands that assisted in making this dream, this effort, this obsession come to pass in the beautiful way that it has—in deep gratitude, I will always see and cherish each of them as part of the treasure that is the Treasury of Daily Prayer. Behind the pages, yet as essential to the Treasury as is the spine to a book, is the Commission on Worship of the Lutheran Church–Missouri Synod, especially the Lectionary Committee of what came to be know as Lutheran Service Book. It was these dedicated individuals who set out the first sketches for an all-in-one resource that would be centered on God’s Word and faithfully express the richness of our Lutheran heritage and understanding of prayer and meditation. Their work to establish the Daily Lectionary and the expanded sanctoral calendar is the beating heart of the Treasury. Soli Deo Gloria — To God Alone be the Glory!